Weatherproof speakers are quite similar to the type you’ll find in your home, though they’re likely to be made from different materials and sealed tightly to prevent excess moisture from ruining them. 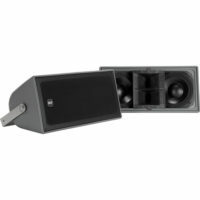 If you’ve read How Speakers Work, then you know that speakers are relatively simple devices. 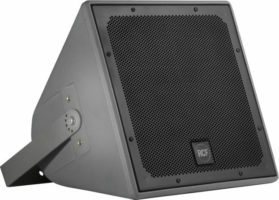 In general, a speaker’s three core elements are the drivers, crossovers and the cabinet. Drivers: The drivers convert electrical energy into vibrations, producing different sound pitches. A diaphragm — the external cone-shaped part of the speaker — moves back and forth to help with this process. 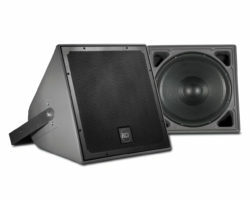 Larger drivers that reproduce lows are called woofers, small drivers that reproduce highs are called tweeters. 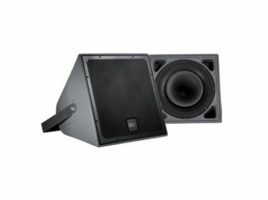 Drivers which produce frequencies in between are midrange. Crossovers: These electrical filters split up the audio signal and divide up the sound pitches via the drivers. 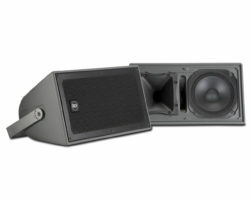 For example, “two-way” speakers consist of a woofer and tweeter, and “three-way” speakers have the three separate drivers in one speaker cabinet: a woofer, tweeter and mid-range. Let’s get something cleared up: Although the two terms are frequently confused, weatherproof and waterproof mean two different things. Weatherproof speakers are made specifically to stand up to outside elements, but are considered water resistant, not waterproof. If weatherproof speakers are exposed to humidity, steam, rain or sprinklers they should be fine. Keeping them sheltered will help them last longer, though.